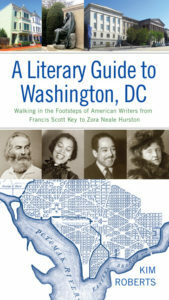 Kim Roberts is the author of A Literary Guide to Washington, DC: Walking in the Footsteps of American Writers from Francis Scott Key to Zora Neale Hurston (University of Virginia Press, 2018), and editor of the anthology Full Moon On K. Street: Poems About Washington DC (Plan B Press, 2010). 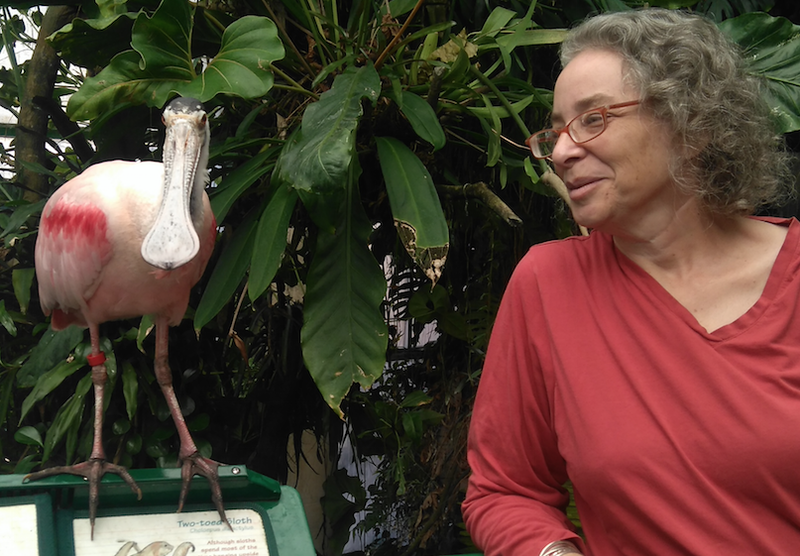 She is also the author of five books of poems: The Scientific Method (WordTech Editions, 2017), Fortune’s Favor: Scott in Antarctica (Poetry Mutual, 2015), Animal Magnetism (Pearl Editions, 2011), The Kimnama (Poetry Mutual/Vrzhu Press, 2007), and The Wishbone Galaxy (Washington Writers Publishing House, 1994). Kim is the founder of two literary journals. She established Beltway Poetry Quarterly in 2000 (and continues to co-edit the journal) and co-founded of the Delaware Poetry Review in 2007 (which published through 2017). Individual poems of hers have been featured in over 40 anthologies, including Nasty Women Poets: An Unapologestic Anthology of Subversive Verse (Lost Horse Press), Resisting Arrest: Poems to Stretch the Sky (Jacar Press), The Southern Poetry Anthology, Volume VII: North Carolina (Texas Review Press), The Bloomsbury Anthology of Contemporary Jewish American Poetry (Bloomsbury Publishing), Sunken Garden Poetry: 1992 – 2012 (Wesleyan University Press), Letters to the World (Red Hen Press), American Poetry: The Next Generation (Carnegie Mellon University Press), The Bedside Guide to No Tell Motel (No Tell Books), and The First Yes: Poems About Communicating (Dryad Press). 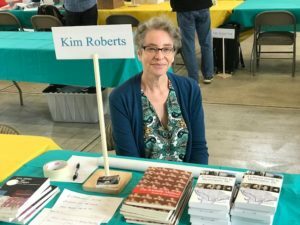 Kim has published widely in literary journals throughout the US, as well as in Israel, Canada, Ireland, France, Brazil, and New Zealand. She has been included in journals starting with every letter of the alphabet, including: Barrow Street, Carolina Quarterly, Confrontation, Huntington Literary Quarterly, Malahat Review, New Letters, Ohio Review, Sonora Review, The Southern Review, Southwest Review, Verse Daily and Virginia Quarterly Review. Her poems have been translated into Spanish, Portuguese, German, and Mandarin. She has been featured in the Wick Poetry Center’s Traveling Stanzas Project, in the Academy of American Poets’ Poem-a-Day Project, and in podcasts sponsored by the Library of Congress and the National Endowment for the Arts. Her poems have been set to music by classical composer Daron Hagen and by an alternative rock band, Arc of Ones, and several have been choreographed by Jane Franklin Dance Company. Five of her plays have been produced or published. Kim has been a visiting writer at Art OMI (NY), the Science Museum of Minnesota’s St. Croix Watershed Research Station (MN), Montgomery College (MD), Winona University (MN), The George Washington University (DC), St. Mary’s College (MD), the Kreeger Museum (DC), The University of Virginia’s Northern Virginia Extension Campus (VA), and a large number of high schools, libraries, and senior centers. She has been a featured reader at Split This Rock Poetry Festival, the Mariposa Poetry Retreat, the University of Rhode Island’s New Leaves Lecture Series, and Fall for the Book Literary Festival. Kim is the recipient of grants from the National Endowment for the Humanities, the DC Commission on the Arts, and HumanitiesDC. She has been awarded writer’s residencies at eighteen artist colonies and retreats: Art OMI, Luna Parc Atelier, Unexpected Stage Company’s Artist Retreat, The Pine Needles Fellowship at St. Croix Watershed Research Station (sponsored by the Science Museum of Minnesota), Soul Mountain Retreat, the Edward Albee Foundation, Hambidge Center, Kimmel Harding Nelson Center, Helene Wurlitzer Foundation, Mesa Refuge, Ucross Foundation, Ragdale Foundation, New York Mills Arts Retreat, Virginia Center for the Creative Arts, Hidden River Arts Retreat, Artists’ Enclave at I-Park, Blue Mountain Center, and the Millay Colony for the Arts. She also has been awarded a Rose Library Research Fellowship at Emory University. Photo by Jules Coney-Revere. National Zoo, Washington, DC. Kim’s newest book, A Literary Guide to Washington, DC, combines walking tours with portraits of some of the capitol’s most significant writers, as well as excerpts of their work. Kim is well known for her extensive research on writers with ties to Washington, DC. She co-edits the web exhibit DC Writers’ Homes with Dan Vera (first published in December 2011 and updated regularly). She worked with the DC Public Libraries to conceptualize DC By the Book, an online, interactive map of fiction set in Washington, DC. HumanitiesDC commissioned Kim to write a limited-edition, nonfiction chapbook, Lip Smack: A History of Spoken Word in DC, in conjunction with their 30th anniversary (Beltway Editions, 2010). For four years, her popular walking tours were an annual feature of The Big Read DC, a program sponsored by HumanitiesDC and the National Endowment for the Arts. Kim regularly gives literary walking tours of DC neighborhoods to schools and nonprofit groups. Her tours have been featured at Split This Rock Poetry Festival, and the DC Historical Studies Conference. Her research on Walt Whitman’s ten years as a resident of Washington has been published in The Walt Whitman Quarterly Review, as well as being featured in articles in The Washington Post and The Washington Times, on radio programs on WAMU-FM and WPFW-FM, and in panel presentations at Rutgers University and the Kennedy Center for the Performing Arts.